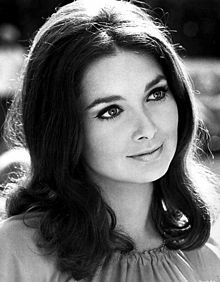 A blog reader recently requested a story on Suzanne Pleshette, whom I have never profiled. I did not know much about this talented actress, so it was great for me to learn more about her. 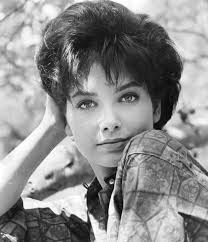 Pleshette was born on January 31, 1937 in Brooklyn Heights, Brooklyn, New York City to Eugene Pleshette and Geraldine (née Kaplan) . Her parents were Jewish, the children of emigrants from Russia and Austria-Hungary. She remained a Jewish but did not formally practice her religion in later years. Her mother was a dancer and artist who performed under the stage name Geraldine Rivers. Her father was a stage manager, manager of the Paramount Theater in New York City, manager of the Paramount Theater in Brooklyn, and later, a network executive. She graduated from Manhattan's High School of Performing Arts and attended Syracuse University for one semester before transferring to Finch College. She later graduated from Manhattan's prestigious acting school, the Neighborhood Playhouse School of the Theatre and was under the tutelage of renowned acting teacher Sanford Meisner. That same year, she was one of two finalists for the role of Louise/Gypsy in the original production of Gypsy. During the run of The Cold Wind and the Warm, she spent mornings taking striptease lessons from Jerome Robbins for the role in Gypsy. In his autobiography, Arthur Laurents, the play's author stated, "It came down to between Suzanne Pleshette and Sandra Church. Suzanne was the better actress, but Sandra was the better singer. We went with Sandra." Her early screen credits include The Geisha Boy, Rome Adventure, Fate Is the Hunter, and Youngblood Hawke, but she was best known at that time for her role in Alfred Hitchcock's classic suspense film The Birds. She worked with Steve McQueen in the 1966 western drama film Nevada Smith, was nominated for a Laurel Award for her starring performance in the comedy If It's Tuesday, This Must Be Belgium opposite Ian McShane, and co-starred with James Garner in a pair of films, the drama Mister Buddwing and the western comedy Support Your Local Gunfighter. She also starred in a number of Walt Disney family films. She provided the voices of Yubaba and Zeniba in the English dub of Japanese director Hayao Miyazaki's Academy Award-winning film Spirited Away and the voice of Zira in Disney's The Lion King II: Simba's Pride and sang the song "My Lullaby". On May 19, 1971, TV producers saw her on The Tonight Show Starring Johnny Carson and noticed a certain chemistry between Suzanne and Johnny. She was cast as the wife of Newhart’s character on the popular CBS sitcom The Bob Newhart Show (1972–1978) for all six seasons, as part of CBS television's Saturday night lineup. She was nominated twice for the Emmy for Outstanding Lead Actress in a Comedy Series. 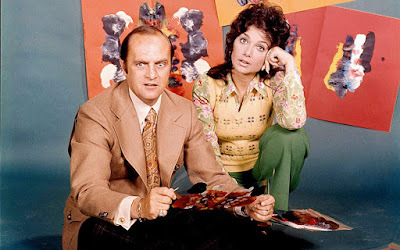 She reprised her role of Emily Hartley in the memorable final episode of Newhart's subsequent comedy series, Newhart, in which viewers discovered that the entire later series had been her husband Bob's dream when he awakens next to her in the bedroom set from the earlier series. Her 1984 situation comedy, Suzanne Pleshette Is Maggie Briggs, was canceled after seven episodes. In 1989, she played the role of Christine Broderick in the NBC drama, Nightingales, which lasted one season. 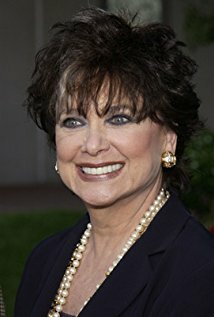 In 1990, Pleshette portrayed Manhattan hotelier Leona Helmsley in the television movie Leona Helmsley: The Queen of Mean, which garnered her Emmy and Golden Globe Award nominations. In addition, she starred opposite Hal Linden in the 1994 sitcom The Boys Are Back. I saw her early movies and I remember that she had acne. Am I correct?